Once again, Gambit is without its director. 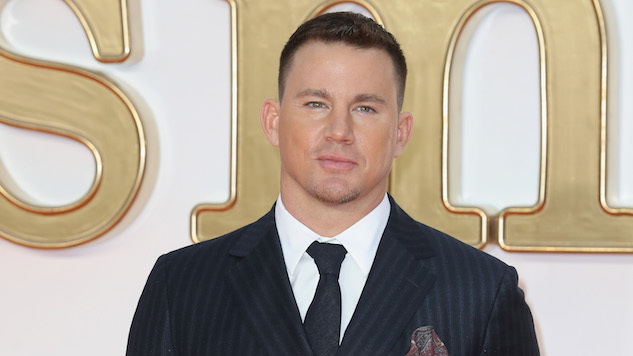 When last we heard about the long-gestating X-Men spinoff, starring fan-favorite Cajun Gambit, to be played by the ever-charming Channing Tatum, the film had been scheduled for a Feb. 14, 2019 release. But now, following the departure of director Gore Verbinski, another spanner has been hurled into the works. According to Deadline, the split was “amicable” due to “scheduling issues,” but it will still throw pre-production into chaos once again. There’s currently no news on if the already announced release date will change. Verbinksi was the latest director attached to the 20th Century Fox project, following Doug Liman and Rupert Wyatt, who both stepped down previously. Their task is to create a film about mutant Remy LeBeau, better known as Gambit, and well known to fans of the X-Men animated series from the ‘90s. Gambit’s powers, for reference, involve the ability to manipulate kinetic energy around him, charging objects to turn them into explosives or weapons. For that reason, he’s classically depicted as carrying decks of playing cards, which he charges and throws as bombs with a sort of swampy elegance. The character appeared briefly in 2009’s much-derided X-Men Origins: Wolverine, played by Taylor Kitsch, but … well, let’s just say that it wasn’t received well. At this point, it’s starting to look like perhaps the movie gods just don’t want to see a Gambit adaptation, but we’ll have to wait and see. If we’re lucky, perhaps Fox will hand off the duties to a worthy indie director with knowledge of the character—one who decides to stick around when trouble strikes. As far as we know, Tatum will remain on the project until a new director is found, with Lizzy Caplan in talks to co-star.